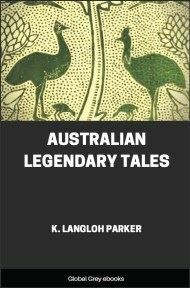 Written by one of the most important anthropologists of the 20th-century, this is an unflinching look at Australian Aborigines and their lives. Fair warning - the way the women and young girls are treated can make for depressing and disturbing reading. 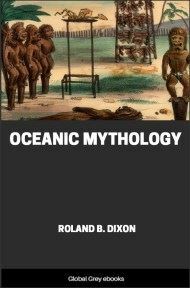 Chapters include: Exposition Of The Problem And Method; Modes Of Obtaining Wives; Husband And Wife; Sexual Aspect Of Marriage; Mode Of Living; Discussion Of Kinship; Theoretical Analysis Of This Concept; Some Examples Of Kinship Ideas Suggested By The Australian Folk-Lore; Parents And Children; and, Economics. The problem of the social forms of family life still presents some obscurities. What appears to be most urgently needed is a careful investigation of facts in all the different ethnographical areas. I propose in this study to undertake this task for Australia. I shall avoid making any hypothetical assumptions, or discussing general problems which refer to the origin or evolution of the family. I wish only to describe in correct terms and as thoroughly as possible all that refers to actual family life in Australia. In other words I intend to give in outline the social morphology of the Australian family. It may be well to show briefly the necessity for this task, which to some may appear superfluous, and to indicate the lines on which it will be attempted. In the first place there are some contradictions with regard to the problem of relationship or kinship in Australia, which can be reduced to the question: Is kinship in Australia exclusively individual; or is it exclusively group kinship (or tribal kinship, as it often is called); and, further, do these two forms exclude each other or do they perhaps exist side by side? When Howitt says: “The social unit is not the individual, but the group; the former merely takes the relationships of his group, which are of group to group,” this obviously means that there is no individual relationship, consequently no individual family in Australia. 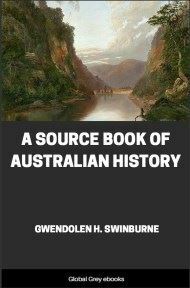 It is important to note that the passage just quoted is placed in the chapter on Relationship in Howitt’s chief work on Australia, and that consequently it refers to all the tribes described by the author, i. e. to the majority of the known Australian tribes. The same opinion that there is only group relationship and no individual family is supported by another passage, no less important and general, for it is placed at the conclusion of Howitt’s article on the organization of the Australian tribes in general: “It has been shown that the fundamental idea in the conception of an Australian community is its division into two groups. The relationships which obtain between the members of them are also those of group to group.” And again: “The unit of aboriginal society is, therefore, not the individual, but the group. It is the group which marries the group and which begets the group.” There are also a few passages in Spencer and Gillen which deny the existence of the individual family, at least in some tribes. Again E. Grosse in his well-known book, speaking of Howitt’s work on the Kurnai says that this author “ . . . hat sich so gründlich in seine Hypothese einer Gruppenehe . 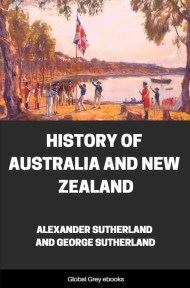 . . der prähistorischen Australier vertieft, dass er darüber ganz vergisst, seine Leser darauf aufmerksam zu machen, dass die historischen Australier in Einzelnehe leben.” This is quite true, especially the remark that one of the chief sources of error in sociology is speculating on the origins and prehistory of an institution before this institution is thoroughly known in the present state.